From parents starting to queue up at unbearably early hours during chilly winters to ridiculously hard interview processes to gain entry the top nursery schools in the country, everyone has their very own admission story. With each passing year, the standards seem to get tougher and the process more arduous for anxious parents and precocious students. The hidden admissions lore, however, lies with educational institutions. Admissions season has resulted in stories that education professionals can dine out on for years to come – ask any teacher or school administrator to be regaled with the latest. 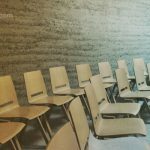 It is not just about the rising demands from parents and students, the increase in global competitiveness or the increasing practical burdens (like every expanding populations and ever decreasing resources) that plague institutions…the process itself becomes increasingly arduous with each passing year. Even a local nursery school has to cope with the unforeseen scale and magnitude – from the number of applications to the selection process to building an ideal roster of students, to their onboarding. It is a full-time job in itself, but only a small portion of what schools have to do in their year. Admission management software, of course, has mitigated some of this stress by automating a lot of these processes, but there is always room for improvement. Any admission management software begins with a robust, but easy to use applicant tracking system. This system must cater to the needs of the parents, the students, and the administrators in charge of admissions in an equally comprehensive fashion. This is the first introduction a school and their potential new student will have to each other, so it is important that not only collects all the information a school requires to make informed admissions decisions but also enables the student to put their best foot forward. The processing of an admissions application after submission is one of the most undervalued aspects of the admissions process. This is likely due to its invisible nature – it is a step that is not public facing and thus remains shrouded in mystery. Often, this also means it is given the least importance by developers, since it is assumed that administrators will just cope with systemic idiosyncrasies. 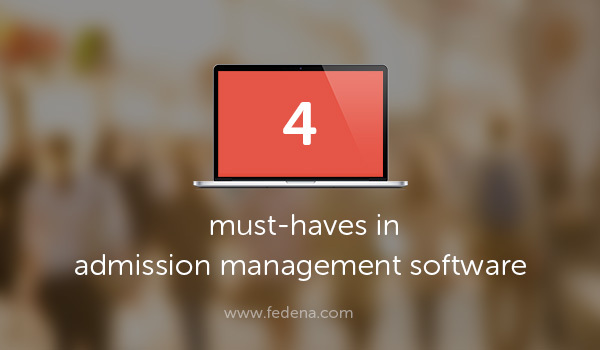 However, having admission management software that is flexible enough to work with differing internal processes and easily used by various internal stakeholders = results in the focus remaining on making good admissions decisions, rather than wasting energy on coping with cumbersome systems. Know more: Why should an admission management system be part of your institution this academic year? The final decision being communicated is an emotional one. While parents and students hedge their bets by applying to multiple schools, there always lies a shock in the moment an admission decision. Ensuring confidentiality, neutrality, and finality in the communication of an admission is non-negotiable – and is best accomplished through the use of technology. Multiple private communications at scale are made possible through the use of admission management software, all while ensuring that the dignity of an applicant remains intact. Hurrah – a positive admissions decision has been communicated and the student has accepted! This last mile is often where admission management software falters. Moving a student from the applicant to the enrolled student is not a mere click of a button to change their status. Making a student feel welcome can begin right here – from including them in classroom or course groups, to sharing course material in advance, to online introductions to teachers, administrators, and fellow students can start off right in the admission management software. Why figure out how to cope with the first day of school jitters when it could instead be spent hitting the ground running?